We’re excited to announce that we’re working on another DLC for Battle Brothers. In other words, there’s going to be even more content for that game that you like. 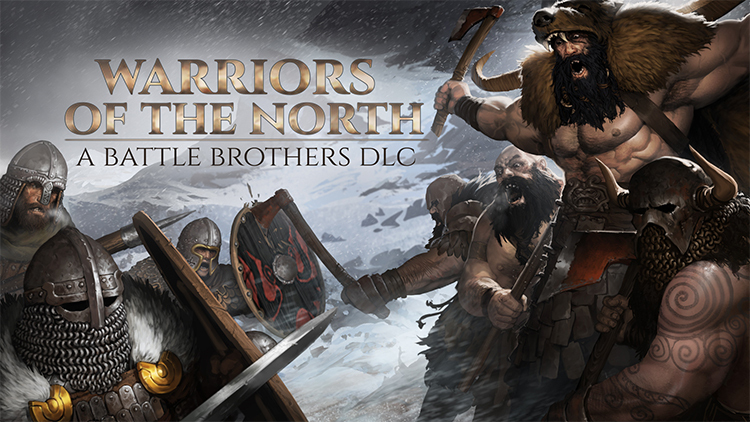 The name of the upcoming DLC is going to be ‘Warriors of the North’. 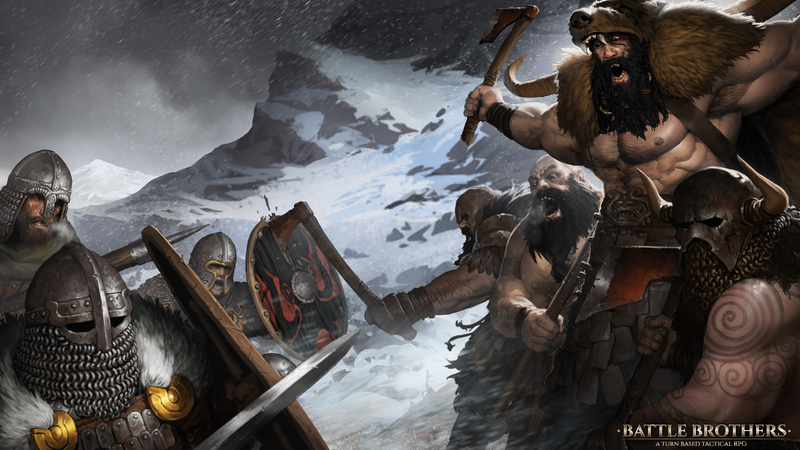 As the name suggests, the focus of the DLC will be on introducing a new human faction hailing from the north. This faction follows the old ways of raiding and sacrificing prisoners to cruel gods. They’ll bring more regional flavor to the northern parts of the map, as well as a different challenge to fighting brigands in the north at every stage of the game. This DLC will be focused on new content, and it will be smaller in scope than ‘Beasts & Exploration’. This also means that you won’t have to wait quite as long until you can play it! In addition to these major features, the DLC will also include countless smaller additions. Just like in the past, we’ll explain all major features and most minor ones in detail in future dev blogs as we go along, so you’ll always know what we’re working on and why. We expect to be finished within the next few months and will announce a release date and final feature list once we’re closer to the finish line. Alongside the DLC, which will not be free, the game will also receive a sizable free update again. This update will contain a whole bunch of improvements, quality-of-life features and balancing changes, as well as some minor content additions. Join us next week for our first dev blog on the new DLC! Great news for the BB community!! I fully support your recommendation about the repairs! Errrm. Awesome! Judging on the amount of axes on show in the teaser image i hope you give Blacksmiths a new service: Repair unique Shield. I really like the coming content for new dlc. I know you have to prioritize what is the best addition to add for such an expansion, so not everything can be done at once or at all. But can you tell me how the chances stand for more diverse and especially more specialized battlefields? For example fighting on a townsquare, on a farm, in a brigand camp/fort, castle ruins or orc encampments, oh and lets not forget the everpresent graveyards. I love the game, but all you ever see are the same generic environments which have little to no connection to the location you are actually fighting at safe for the biome and heights. I fully support!!! it would be fantastic! Bring moar boyz and build it fasta! Overall I find human and greenskin opponents the most fun to play against. Marvelous !!!!! I’m really excited !!!! Please, could you open a support / beta test edition on Steam ? Great news, another instant buy for me! The helmet on the lower left brother looks like a “refurbished” Ancient Dead Royal Guard. …Are we getting a new mechanic to rebuild ancient armors? Not gonna tell you anything but i hope we will see something like ´´hidden tomb of *some nordling name*´´ full of draugirs :D muhehehe. One time, I hope, that I can paint my armor with Black and White to present my Black Templars finally to the world.